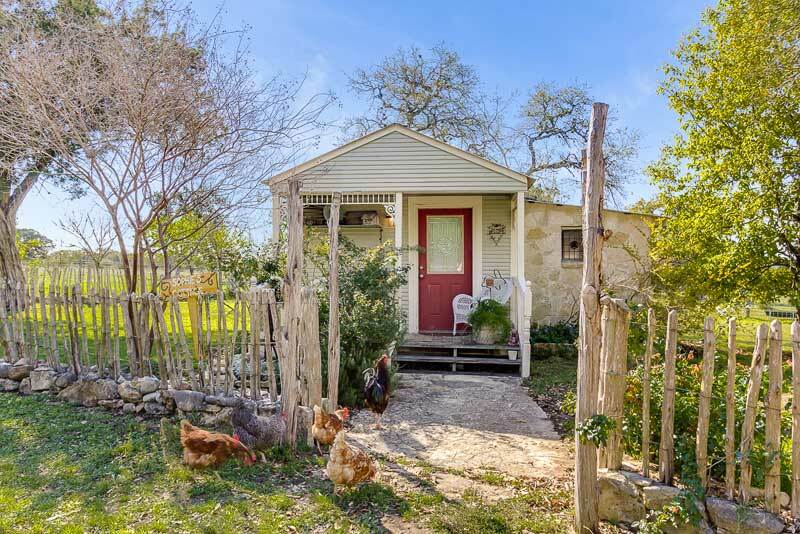 This Texas Hill Country accommodation is a quaint and romantic place reflecting the area’s German heritage with fachwerk walls. 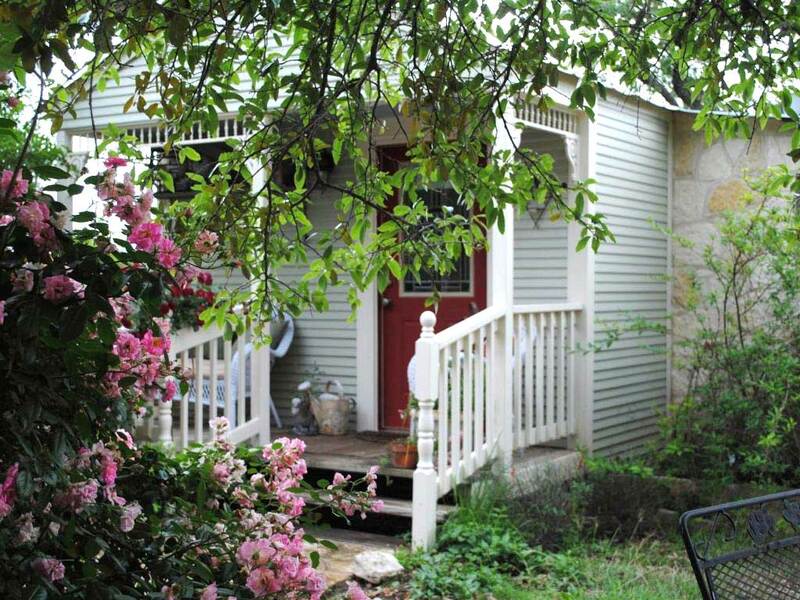 Antiques, lace curtains, and heirloom quilts are part of the charm of this charming guest cottage. 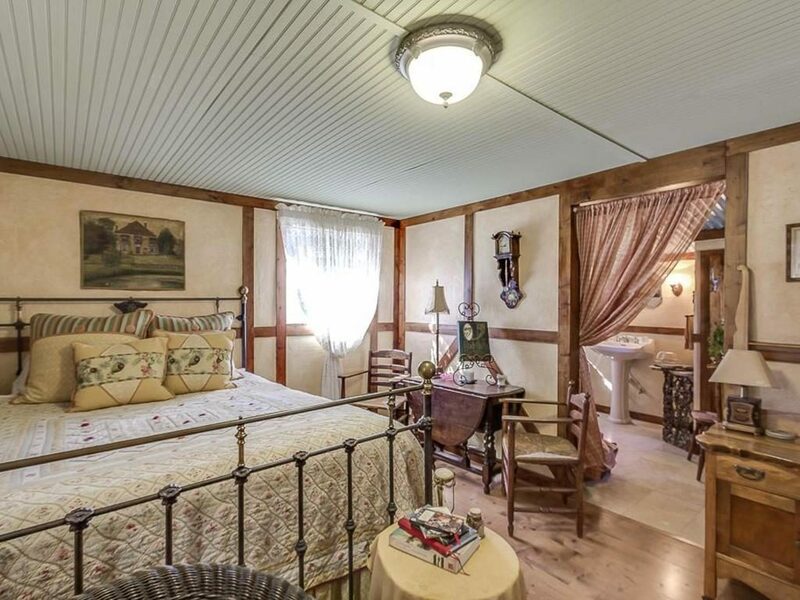 Visions of sugar plums await you as you melt into the queen-size wrought-iron bed that sleeps two. In addition you'll be able to enjoy complimentary coffee and fresh, succulent local fruit upon arrival. 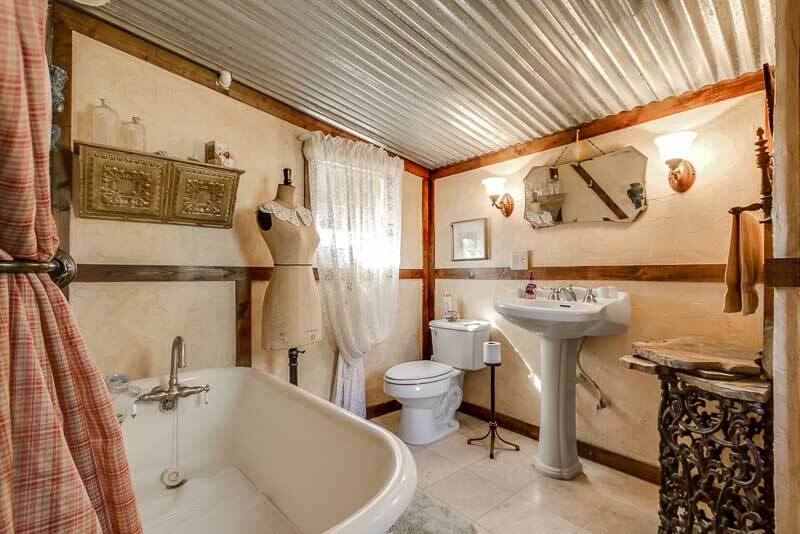 Let your cares and worries drift away by lounging in the antique claw-footed tub. Guests to this cottage always seem to enjoy sitting outside on our lovely porch complete with antique wicker furniture. 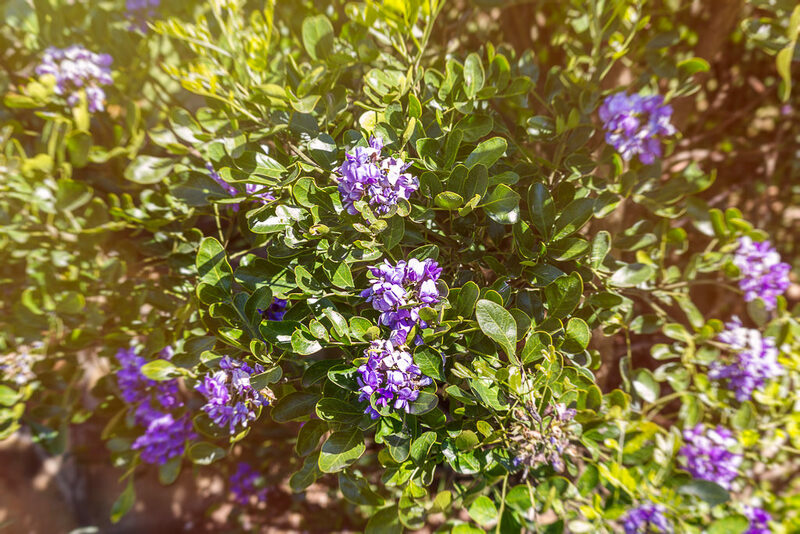 You can enjoy walking around the property, sitting on the porch and watching the hummingbirds, butterflies, and birds that inhabit the area. We welcome children of any age.